MOSAIC’s summer youth program begins in June! We are always looking for volunteers!!!! Now is the time to get your criminal and child abuse clearances! The program is jammed-packed with more learning experiences, field trips and other great activities! Please plan to help out! Check our website and Facebook page often for more opportunities to get dirty, to grow and know what you eat, and to get outdoors in downtown Pottstown! Downtown Bethlehem? There’s an app for that. The Downtown Bethlehem Association on Wednesday debuted its new app that puts information about local attractions, restaurants, stores, hotels, parking and events all in one place. The association has been working to develop the app for more than two years, Gardner said. Smartphones are increasingly being used in making plans, officials noted. On the sidewalk along Penn Avenue in West Reading, Pam Roule glued down glass tiles under the late morning sun. Nearby, Mayor Shane J. Keller cut additional pieces of glass as the occasional West Reading Farmers Market patron stopped, groceries in hand, to view the progress on what eventually will be one of five mosaics on Chestnut Street near West Reading Elementary Center. MOSAIC Community Land Trust is holding an “Open Garden” on Saturday, September 22 from 12-2 pm. All are invited into the Community Garden at 423 Chestnut Street in Pottstown to participate in a salsa-making workshop, learn how the garden works, and pick vegetables to take home. Garden guests on September 22 will be able to take home vegetables and herbs from one of MOSAIC’s community plots. There will also be salsa-making demonstrations and tastings, along with pesto made from basil grown in the garden. 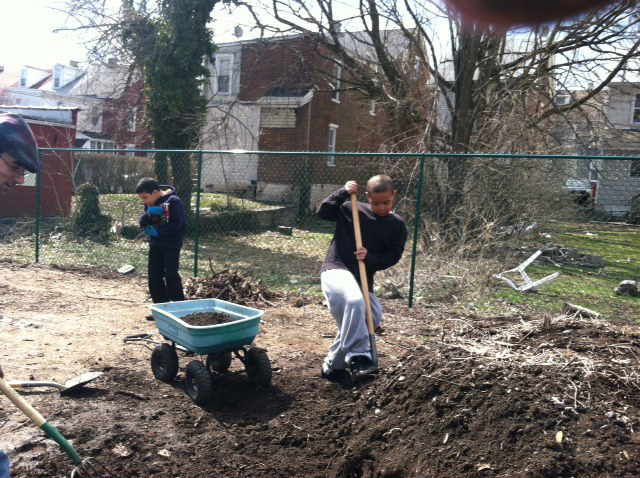 MOSAIC is now seeking another site in Pottstown to add a garden next year. Interested residents can get on a list for next year’s gardens. 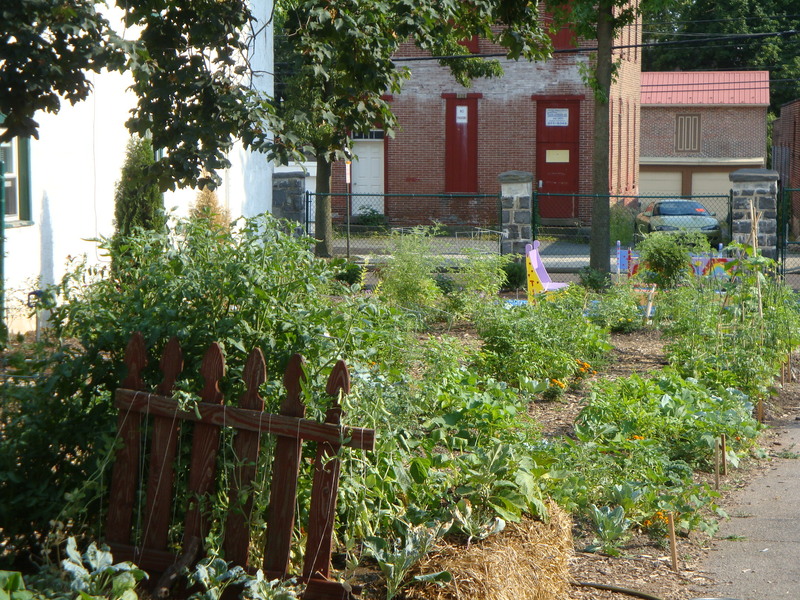 MOSAIC Community Land Trust’s a mission to increase homeownership in Pottstown, develop community gardens, and support the arts. Their office and gallery is at 10 S. Hannover Street. 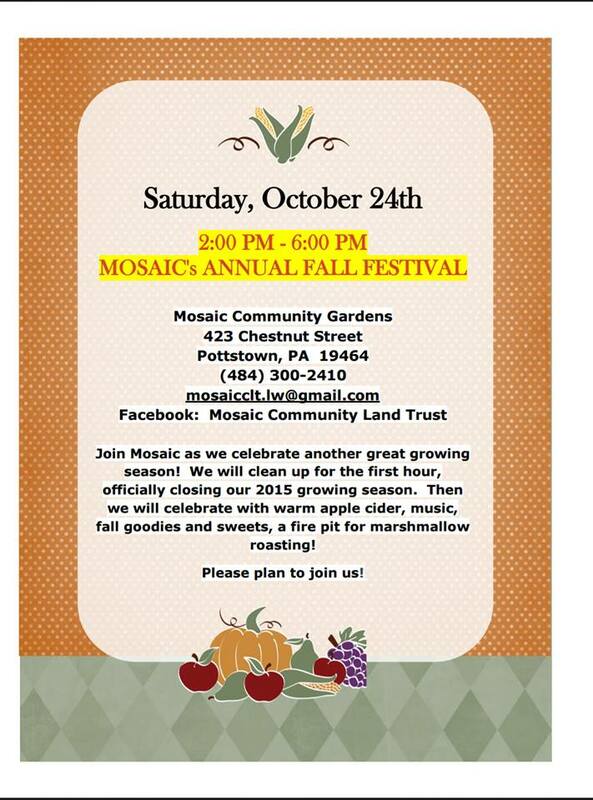 Details can be found at their website at www.mosaiccommunitylandtrust.org or by calling David Jackson at 484-949-4235. Pottstown, Pa. – Local photographer Sharon K. Merkel will be on hand at MOSAIC Gallery, 10 S. Hanover Street in Pottstown, this Saturday, July 21 from 6-8 pm. All are welcome to attend this free reception. Ms. Merkel’s work is on view now at the gallery along with the paintings of Sharon McGinley in MOSAIC’s latest show, Nurturing Hope. The show highlights the beauty in nature and in urban spaces, much like a community garden. MOSAIC Community Land Trust, which runs the gallery, built Pottstown’s first community garden at 423 Chestnut Street this past spring. Gardeners are now realizing the fruits of their labor at the garden site. In the artist’s statement on her website, Ms. Merkel says, “My photographic work looks at my world with a very direct approach. 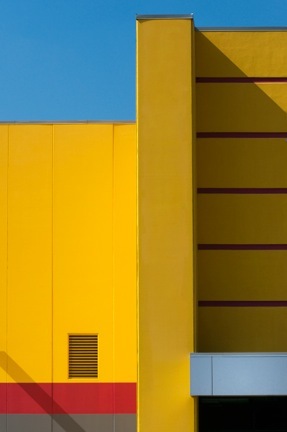 Photography is the art of exclusion – knowing what to include and what to leave out to create the correct balance and narrative.” Her photos of urban buildings and barns often feature intersections with a brilliant sky or a lone tree. Several prints of industrial buildings in Pottstown are included and for sale at MOSAIC Gallery. MOSAIC receives a standard 30% commission on all art sales, so a purchase not only supports these local artists, but also the community garden, arts, and affordable housing mission of MOSAIC Community Land Trust. This show is being curated by MOSAIC summer interns Amanda Hoffman and Blake Wrigley, who spent their early years in Pottstown and graduated from Boyertown High School. Blake is a recent graduate of Messiah College and Amanda is a senior art major there. Nurturing Hope will run through July 28. The MOSAIC gallery is located at 10 S. Hanover Street in Pottstown. Regular gallery hours are Thursday-Saturday from 4-7 pm. MOSAIC’s website is www.mosaiccommunitylandtrust.org. Sharon Merkel’s website is www.skmerkel.com. 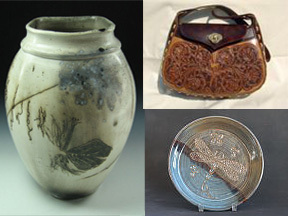 Pottstown, Pa – Are you an art enthusiast who is interested in supporting local artists? Do you want to take part in Pottstown’s growing arts scene while helping to boost the local economy? Then come and check out Pottstown’s very own MOSAIC Gallery. Opening this 4th of July, MOSAIC presents Nurturing Hope, a show featuring area artists Sharon Merkel and Sharon McGinley. You may know MOSAIC Community Land Trust for bringing Pottstown its first community garden at 423 Chestnut Street, but MOSAIC also utilizes its office space at 10 S. Hanover Street as an art gallery. This show highlights the beauty in nature and in urban spaces, much like a community garden. Like a garden nestled into a congested city block, the spiritual paintings of Sharon McGinley contrast with the graphic urban photos of Sharon Merkel to embody the hope and vitality of an urban garden. In her artist’s statement, photographer Sharon Merkel says of her work, “The images explore the place where man and nature meet. I am fascinated with this intersection, the place where each affects the other.” Her photos of urban buildings and barns often feature intersections with a brilliant sky or a lone tree. 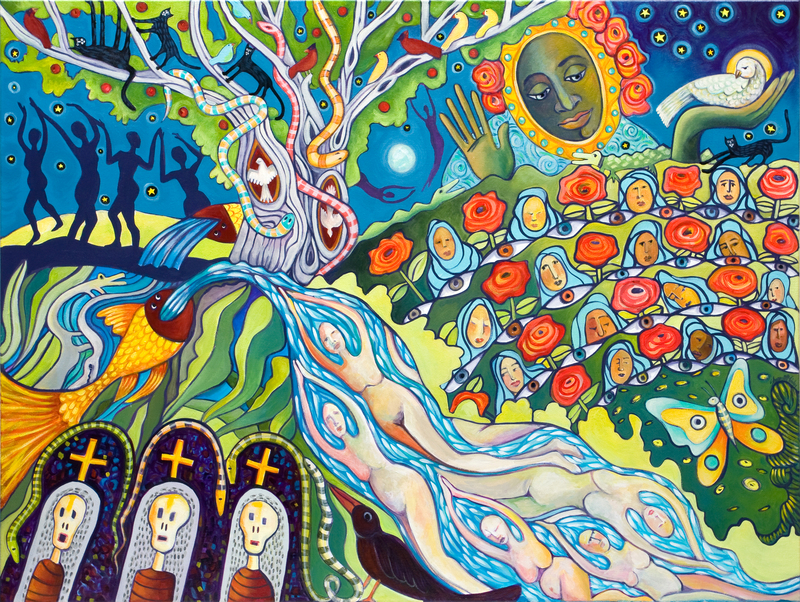 Sharon McGinley’s paintings include bright colors, whimsy, and nature on a biblical or essential level. “I explore the inner-connectedness of all things, the impermanence of earthly life and the joys and sorrows we experience on our journeys,” she says. Nurturing Hope will run from July 4 – July 28. 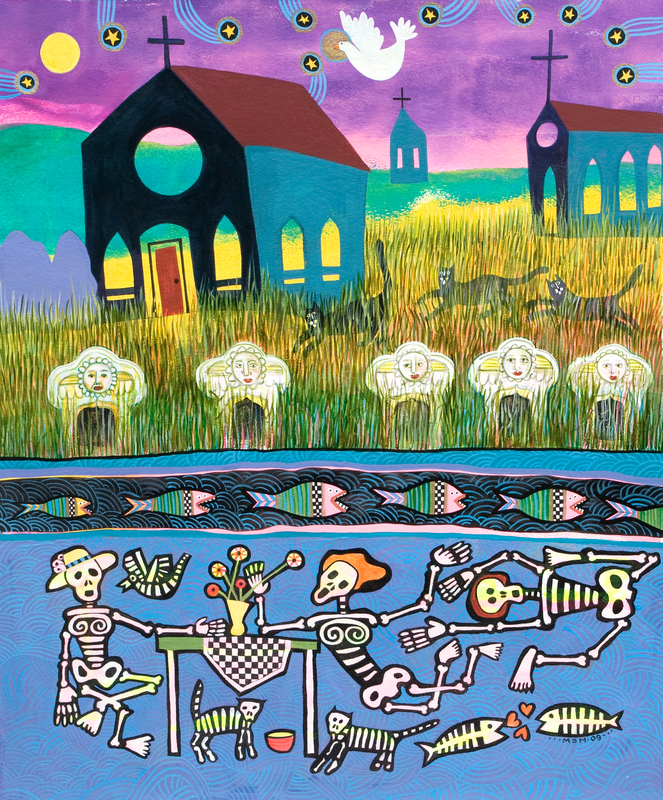 All are welcome to an opening reception on Friday, July 6 from 7-9pm; food and drinks are sponsored by Lointer HOME. The MOSAIC gallery, located at 10 S. Hanover Street in Pottstown, will be open from 10am -1 pm on July 4th during the Pottstown Homecoming Parade. (Rain date is July 5th.) Regular gallery hours are Thursday – Saturday from 4 – 7 pm. The Gallery on High and MOSAIC are proud to announce an open call to artists for a juried logo design competition and exhibit. Winning design will be selected as the logo for The Pottstown Community Land Trust, and $500 will be awarded to the artist. 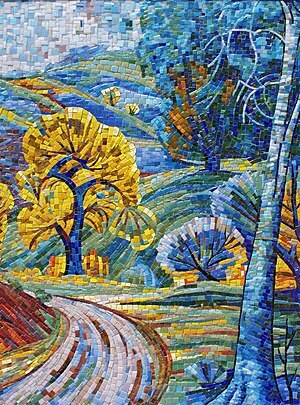 Submissions may be in 2D or 3D in any media; all submissions must include a mosaic styled image. All submissions must be original to the artist submitting. Pottstown is in the midst of revitalization. 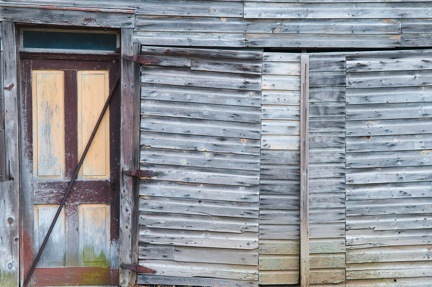 Its history is tied to the river, the steel industry, Mrs. Smith’s Pies and manufacturing. Charming 18th & 19th century architecture lines its streets. The ARTS and INNOVATION are key to the sustainability of our renaissance. Designs should bring out the many meanings of “mosaic” for Pottstown: bringing together a multi-faceted, multi-hued community; putting broken shards together to create a thing of beauty; and recognizing the rough-around-the-edges nature of its past.